When it comes to the history class, there is significant educational value to studying the past in terms of problem spaces (for my definition of this term, see the previous post). This is not to say that students should come to view the past exclusively or mostly in terms of problem spaces. It is simply to suggest that problem spaces provide an excellent framework for certain goals in a 21st century history education. A variety of players with roles: we would term them actors or agents, but the idea of the past being full of people who had choices, made decisions, played roles, and mattered is certainly well within the norm for historical sensibilities. Players with goals: This one is a bit trickier. Games clarify goals; life obscures them. Or to look at it another way, goals for real life agents can often be manifold, unclear, conflicting, unreasonable, and unattainable. We must always be aware of that when considering the past as a problem space. That does not mean, however, that the idea of agents with goals is a meaningless simplification. Surely one of the foundations of explaining individual human behavior, if not group behavior, is considering the intentions of actors, and this is based on the recognition that humans do seek goals. 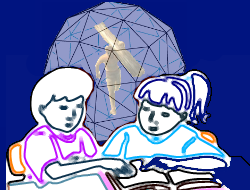 Players in space: One of the points I made in Gaming the Past is that teachers and students too easily and often forget that humans in the past (and present) operated in physical, spatial contexts. Even the most intellectual/emotional/spiritual of goals is embodied in a physical and spatial context. Understanding that context helps understand agents’ roles, goals, choices, affordances, and constraints. Players with choices: Granted, philosophers can argue about whether anyone really has any choices whatsoever. Pragmatically speaking, however, historians speak in terms of choice and decisions. Furthermore, we as humans act and comprehend the world in terms of the choices we and others can make (even when we feel victimized and assign all the choice-making to those who seemingly harm us). Affordances and constraints: Agents in the past (and present) have opportunities and roadblocks, abundances and scarcities, talents and weaknesses, access and exclusion. These affordances and constraints shape their choices, goals, and roles. An important qualifier. Even when one role and set of goals are the subject of analysis (say Pliny’s goal to rehabilitate the financial condition of his province, Bithynia, Pankhurst’s goal to gain suffrage for British women, or my goal to say something interesting and useful here for readers) each agent in a problem space will have his/her own goals, choices, etc. To the extent that anyone interpreting the past must select which roles and goals to address, the problem space approach to history is necessarily simplified. But, and this is very important, so are all other approaches. Simplifying reality is a necessary part of the process of historical analysis and interpretation. It promotes the agency of humans while recognizing constraints, an important life lesson. One of the goals of history education should be for students to understand how factors shape and promote certain actions and outcomes over others, how everything is hardly ever equal, and how everything is contextualized. It teaches to contextualize actions within space rather than divorcing choices from their real-world context. Humans in the past and present do not make decisions in vacuums. Learning to consider the context for decisions and actions before considering the decisions and actions is critical to studying human behavior. It fosters flexible problem solving and critical inquiry as students consider why actors made the choices they did, what else they could have chosen, and what the likely results of those other choices might have been (all of which is important counter-factual reasoning). It undermines the perennial problem of viewing the past as pre-determined. Training flexible problem solvers like this should be a goal high on the list for history teachers. These are the thinkers that can see many sides of a problem, analyze different possibilities, and, hopefully, come up with excellent solutions. Related to the previous point, it allows history, as it should, to speak even more to the needs of the present as a place of challenges and opportunities. Though simulation games are superior tools for studying problem spaces, one certainly can effectively analyze a historical problem space without recourse to actual gameplay. Since I’m new to this practice myself, let me offer a test case from a recent class. I wanted to apply the framework of problem spaces to analyzing the historical evidence for Roman cities and particularly the governorship of Pliny (quick historical background: Pliny was specially appointed to be governor of Bithynia in NW Anatolia by the emperor Trajan in 110 CE. His assignment seems to have been to set affairs in order in the province, which had suffered from financial mismanagement among other things). This was for a pair of ninth grade ancient world history classes at Cincinnati Country Day School. The basic instructional procedure was to assign as homework for a couple of nights notes on a healthy set of the letters Pliny wrote to Trajan while governing the province—these letters are incredibly important for the insights they give into provincial administration in the Empire. The next day I introduced students to the concepts of problem spaces by comparing a problem space to a game (my students were veteran sim players at that point and had played CivCity: Rome for several weeks). I stressed that historical problem spaces could be compared to simulation games to make the concept easier to understand but that in no way should we take the baggage of entertainment or triviality often associated with games and apply them to problem spaces. Then I suggested we apply this idea of problem space to Pliny’s governorship. The class was divided into groups of 3-5 students and all had access to a digital worksheet with space to make notes on the following: role, goals, geographical setting, types of choices available, affordances (I didn’t call them that at first, but got there quickly), and constraints. I indicated I would start the class off by giving some background biographical information on Pliny. Then they would take that information, what they knew about Roman cities from prior readings and what Pliny’s testimony suggested to fill out the chart and Pliny’s problem space (according to our normal practice, they had to cite the location of the evidence they used for each point). Comprehension: even those who sometimes struggled with the challenge of making sense of primary sources and organizing a variety of historical evidence reported their sense that they understood Pliny and his world better than they normally understood many topics we explored. I submit this is because they had to visualize a real world space and fit various components and evidence together into that space. Ideally this is what should happen with historical interpretation all the time, but history teachers well know that this ideal is often not achieved. It is too easy for evidence and facts (such as they are) to get divorced from one another and appear meaningless, particularly when one lacks a deep background in a subject. Engagement: problem solving is inherently engaging. In the classroom, where problem solvers may be intimidated by concerns of failure, deterred by a lack of interest, etc. the problem solving drive kicks in most readily when the problems are clearly presented, require thought and effort to solve, but are within the reach of students with the resources they have and the scaffolding of the teacher. This exercise fit the bill. I also submit there is something inherently game like and creative about the whole process of figuring out a problem space because one deals with potentials and options, not fixed outcomes. In a sense, perhaps, it is like creating an avatar in a role-playing game. Usefulness of detail: This was a big one. I have shied away from providing detail for details sake my entire career and, though of course other teachers may not have had this problem, I had yet to find any compelling reason to recite Pliny’s political career prior to 110. Until this exercise. When the goal of students is to reconstruct and fill out a problem space, biographical details that might have been mentioned and lost in other forms of instruction become potentially critical points for establishing a player/agents role and goals. A problem space methodology provides a critical relevance to otherwise less meaningful details, and this kind of relevance is very useful for real learning to take place. Flexibility and Creativity: Historical imagination requires individuals not only to understand the evidence for what did happen but also to use that evidence to consider what could have happened. To be able to reconstruct a world of possibilities requires creativity and flexibility far beyond that fostered by the rote examination of what did happen and the simple acceptance of standard explanations for why it had to be that way. Again, these are the sorts of empowered individuals a 21st century history education should foster: those who do not stop with how things are but consider how they can be. Hopefully readers will readily draw connections between the use of the problem spaces concept in the history classroom and the problem spaces defined by simulation games. Here, I want to touch very briefly on a key link between simulation game play and the study of problem spaces. Leaving aside for a moment the important cognitive work of critiquing the interpretations of simulation games, what reasonably valid simulation games offer most of all to students of the past is the ability to explore problem spaces from the strategic, if not emotional and intellectual, perspective of a player/agent in the space. Simulation games are particularly good at modeling choice in problem spaces. When students play and critique simulation games, they can actually make choices within a problem space and see how they are resolved. It takes the exercise from the disembodied hypothetical to the virtual, multimedia, personal application – potentially a much closer analogy to the reality of the past problem than the regular classroom media. Of course we must be very careful when using simulation games to help students study problem spaces. The games will tend to focus on one set of roles and goals in the problem space and it is essential to remind students that there are many roles and goals. This is the same problem we face, however, with any source, any interpretation of the past. The advantages make the exercise of exploring problem spaces through sim games worth it—but handle the games with care.